I’ve been out of commission for a few days now because I’ve been sick. I’ll spare you the details but I pulled my back at work, caught the flu, and got out of the ER last night with a throat that was swelling shut. Picked this up for $9.99 and have been enjoying this since I grabbed it Thursday. Picked this up for $12.99 Wednesday. A nice take on some old classics but this doesn’t have staying power. Don’t get me wrong, Night Ranger is a great band, but they need a new album of new material. A true music fan always branches out and enjoys different styles other than their favorite. Billy Joel may be far from Nocturnal Rites but the guy has great songs. The best songs always come from just observing life, Billy takes his life experiences from the 60s/70s/80s and pours them out of the piano. No matter what, a band will have staying power based on the songs, Billy Joel crafts memorable tunes. Bottom line. A Bach-less Skid Row employs Johnny Solinger at the mic now. A more aggressive album, IMO. It’s decent, not bad….but not great. Saw these guys 4 times on tour with KISS so I knew what I was getting. Not bad for $5 used. I believe this is Within Temptation’s debut album. Just goes to show you that female-fronted gothic/operatic/atmospheric Metal was being done a lot better way before the Evanescence phenom hit U.S. airwaves. This is getting more spins after I’m back on my feet. Powerful vocals and well played instruments, 2 horns up! Everyone remembers Def Leppard for the 80s power pop and the Hair Metal anthems but I remember the Leps as a young hungry band throwing themselves into the ring of the upstart NWOBHM movement. The debut is raw, hungry, in your face. Fave tracks here: ‘Rock Brigade’, ‘Wasted’, and ‘Rocks Off’. Makes me want to track down all the old demos and B-sides because the guys packed a punch back in the day. I have no idea how I did it but I managed to save the $40 gift card I got for Xmas to Newbury Comics. Well, until last night. Anyone not familiar with Newbury Comics should know that it is a small New England independent record chain of less than 20 stores. They sell CDs, DVDs, posters, mags, and all sorts of pop culture crap. That said, their CD selection varies by location for new & used: some locations get 5 or 6 copies of new Metal releases, some get 1. Their prices are a couple o’ bucks more than ordering online. If you need that new CD that will never make it to Best Buy/Wal-Mart/Target, this is the place to go in New England. They also send out a weekly newsletter with coupons, new releases, and sale info…very handy. I went to the North Attleboro, MA store…..10 mins away from home. Like I mentioned above, selection varies at each location. I should have driven the 20 mins to Warwick, RI because they have everything but I was tired and not in the mood for the highway. And that is the sign you are a true Rhode Islander, when everything is within 20 mins and that is way too long! Newbury North Attleboro is OK, I can usually get the new releases there…if I go as the store opens on Tuesday mornings. Usually, Newbury N.A. gets 1 or 2 copies of that new Metal title, or import CD, so you better get there early! I figure I’ll go in, grab these right away, and shop. These 3 selections take care of the gift card but there is still money to be spent! Got shut out of the Nocturnal Rites CD, they had 1 copy and they weren’t able to tell me when they would re-stock it. They called Warwick, where they had multiple copies…..figures! The Ace Frehley CD was a re-hash of live material on previous releases, looks like Megaforce Records is cashing in again! For $16, I left it in the rack. The Deep Purple DVD was 8 songs and some extras. Not bad for $13 but the 2 copies they stocked had cracked cases. I stay away from new releases with damaged packaging, I’ll get it later online. My total was around $49, minus the $40 gift card = $9. 5 CDs for $9, not bad, but still shutout for what I really wanted. In my quest to save $$$$, and further the diversity of my collection, I will be heading to the Warwick, RI location this weekend, after a quick stop in North Attleboro again to check. 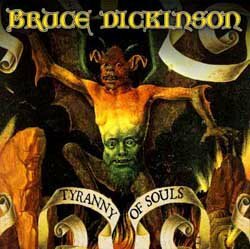 Hell! Warwick is 20 mins away! 1. Cans – Beyond The Gates (2004) – basically Hammerfall minus everyone but singer Joacim Cans. 2. 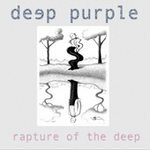 Deep Purple – Rapture Of The Deep (2005) – brilliant release, one of their best since 1987’s The House Of Blue Light. 3. Keel – s/t (1987) – their 4th album, not bad but I prefer 1985’s The Right To Rock and 1986’s The Final Frontier. 4. Primal Fear – Seven Seals (2005) – latest release from the German power metallers, have they made a bad one yet? 5. Schoolboy Crush – Electric Playground (1989) – one of the rare indies from the 1980s, it’s good but I’ve heard it all done before and done better. Will cost you a pretty penny in the collector’s market, between $100-200 USD. I got mine for less than $60. 6. YLD – Window Shopping In Fool’s Paradise (1989) – another ’80s band that came too late. Good album save for the cover of Zep’s ‘Good Times Bad Times’. The Deep Purple & Primal Fear albums are still getting strong rotation, the rest are being put on the shelf. Not that they are bad albums, they just had enough spins and had no staying power. Here’s some sites that can elaborate on these bands & releases, both are excellent resources. Heavy Harmonies has links to its sister sites for Metal, Prog, & Christian (CCM) at the top of the page. Pittsburgh’s Icarus Witch are a relative newcomer to the Metal world. Their brand of traditional Heavy Metal has seen the light of day on various compilations and tribute albums until the band released the Roses On White Lace E.P. in early 2005. Late 2005’s first full-length album, Capture The Magic has been heralded in the Metal press as a return to old school Power Metal and 80s style traditional Heavy Metal akin to the likes of Judas Priest, Black Sabbath, and Iron Maiden. 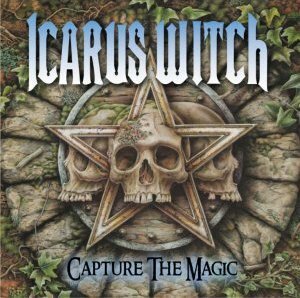 Icarus Witch have also been featured as indie spotlights in many online zines like Maximum Metal and have gone on to take the groundswell of support to release their CDs independently, giving the feel of the upstart NWOBHM (New Wave Of British Heavy Metal) movement of the late 70s/early 80s. I haven’t spent much time on this disc yet. I gave it an inaugural spin upon unwrapping it but it went to the pile to await further review. So far so good, Storming The Castle gets the metalfest started in fine fashion. I can recommend these guys based on the excellent E.P., I’ve had it since it first came out and it still gets spins. 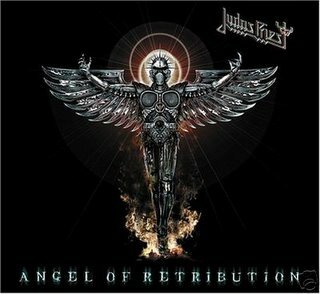 Fans of good true Heavy Metal should enjoy this. For more indie bands, try Maximum Metal (link above) and head on over to the Icarus Witch website (also up there!). Right after Christmas, I usually make a list of things I’d like to accomplish, your typical New Year’s resolutions. Everyone reading this has done this in some form but how many of us have actually come through? If you have, congrats! You have more balls than me! That’s what it takes to change your life…..BALLS! Whether it’s losing weight, tackling debt, or saving money, it takes major sack to put an end to old habits and start fresh. Last year it was simple: lose 50 lbs, save at least $10,000 ($200/week), eliminate my credit card debt, buy a house, and be a better person (not that I’m a bad one). Some lofty goals! Scoreboard – I lost 3 lbs, saved zilch, spent $2500 on credit cards, and never bought a house. I would like to think that I became a better person but that is subject to debate depending on who you talk to, LOL! This year, I decided to wait a couple of weeks and think of a list I can start in February. January doesn’t work for resolutions, you have a Holiday hangover going with bills, food & drink, decorations, etc. you just don’t have time. You’re playing catch up, you blew your wad during the holidays and you need some down time before you can get serious again. 1. Exercise (not lose weight) – If I can exercise regularly, the weight will come off. Maybe not exercise everyday, time doesn’t allow that in my world. 2. Cut down on fast food – If I can cut down on the Taco Bell and Steak subs, the weight will come off and the wallet might be fuller longer. 3. Save $100/week – This I CAN do. Last year I put $200 a week away in savings but I tapped it a few times before I put it in. Once that happened, I tried to catch up by putting in more than $200, making life harder a couple of weeks later. $100 is more realistic but I’m going to do it differently: instead of saving $100/week I’m going to take that amount off my tax return and stick it in an account that I can’t access unless I have to physically go into the bank. There’s nothing worse than going into the bank. 4. Cut credit card debt – My debt is debt I’ve had a while. I don’t use the cards but I pay the minimums, that’s just as bad. Once I get that money in the bank, I’m going to take 100 bones a week and slap that on a credit card. Once one is clear, on to the next, and so on. Paying a bill is easier than saving because you have to pay it, you have no choice. 5. Research house buying – I’m not going to kid myself, a house just isn’t going to happen until housing prices come down. I would like to get a better handle on all my options so I can be ready for 2007. So there it is. If we’re all here in a year, we’ll see how I did. D.C. Cooper is one of the best voices in Melodic Metal today. Actually, D.C. has been plying his craft since the 1990s and his unique blend of power and melody has garnered him accolades from peers and fans alike. After becoming a finalist to fill Rob Halford’s boots in Judas Priest, D.C. went on to perform with Danish Power/Progressive Metal band Royal Hunt. This self-titled classic brings Cooper’s strong Hard Rock delivery in your face with the backing of most of Pink Cream 69. 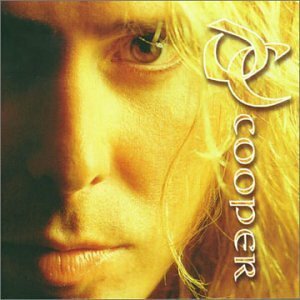 Tracks like Dream, Easy Living, and Within Yourself showcase Cooper’s full Metal range, the vocals full of power and range. Ballads Until The End and Freedom just soar high, D.C. bringing melody and power in a “delicate” package. Released in 1999…..turn the calendar back a decade and this solo effort is at the top of the charts! For all things D.C. Cooper, go here and check out all of D.C.’s post-Royal Hunt work. 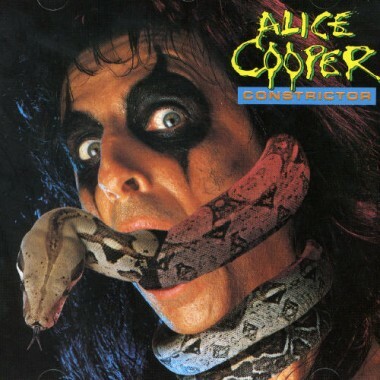 Alice Cooper needs no introduction…..but this album does. To many fans, this album is either love it or hate it, a cult classic (like the movie!) or dismissed as trash (the name of Alice’s 1989 major “comeback”). A few good tunes on this one: Teenage Frankenstein, He’s Back, Thrill My Gorilla but this album does suffer from a really clean production and major keyboards. Typical 1986. The original version of He’s Back can be found on the Life And Crimes Of Alice Cooper box set. 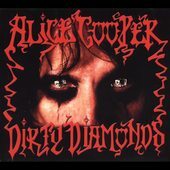 I like this album (was a high school fave back in the day) and Trash from Alice’s ’80s releases. Nostalgia aside, I prefer ’70s Alice. This forgotten album is worth checking out. 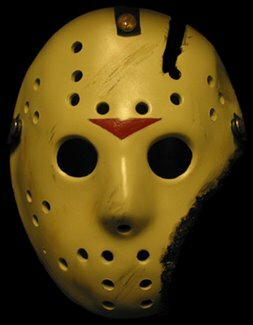 It just wouldn’t be Friday The 13th without taking a moment to reflect upon one of the best movie franchises…..Friday The 13th. All of these CDs were released in 2005. 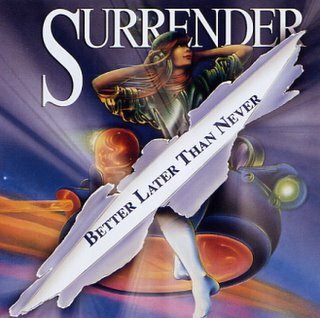 The Surrender album is a re-release of a promo CD from 1991 but now officially released by the band to prevent piracy. Use the links below to get all the info on each album. Deep Purple are one of the pioneers of this thing we call Heavy Metal. For 37 years now, Deep Purple has been churning out album after album and grinding out tour after tour. Hot on the heels of 2003’s solid release, Bananas, and subsequent world tour, Purple has released a grand album with Rapture Of The Deep. I can describe this album in one word: smooth. Whether its Ian Gillan’s vocal delivery, Steve Morse’s guitar, the backbone of Roger Glover (bass) & Ian Paice (drums), or Don Airey’s Hammond Organ, Purple effortlessly puts an album together of instant classics that rival the glory days of In Rock or Machine Head. Seems like time goes by but Deep Purple just keeps plying their craft without any care for the current state of the industry. Fave tracks on this album include: Girls Like That, Clearly Quite Absurd, Don’t Let Go, Back To Back. Actually, this album is solid through and through, not one weak song among the lot. Another album that made my Top 5 of 2005. I kept buying cassettes when CDs started to turn the corner in the mid-80s. I didn’t have Internet access (or a computer) until the Fall of 1998. DVDs came and I was still using a VCR and VHS. My computer was out of date with no CD/DVD burner. I bought a new one. As I’ve mentioned before, I’m a CD collector. My collection is not the biggest by far but it’s big for me. Every CD was a calculated purchase and each has been listened to. For me, the idea of downloading an album over the Net is heinous. I am a staunch supporter of buying the CD and supporting the artist/band. The legalities of Napster, et al, was something I watched closely while clinging to my silver discs…..agreeing that downloading an album, or songs, without paying is wrong. Even burning a CDR is bothersome: where is the artwork, the liner notes, the “real” CD? As a collector, this bothered me. I use my burner to make mix CDs like we used to do with blank cassettes. What an invention! Apple has set the world on it’s collective ear and changed the Music industry as we know it. Did you know that Apple sold over 32 million iPods in 2005? That is a clear signal that the music format is changing rapidly: vinyl to cassette to CD to digital. I didn’t cave, I held out until March 2005 and bought an MP3 player, a Dell DJ 30. Now why didn’t I buy an iPod? Why didn’t I follow the lead? Simple…..PRICE! The Dell DJ 30 is the same thing as an iPod 30 or 60, just half the price. Same capacity, 15,000 songs. Same specs (I’m not going to list tech jargon) when I compared them side to side. Same sound. As a skeptic, I also didn’t want to be stuck with a $500+ gizmo that I didn’t like or didn’t work properly. I work 3rd shift. Radios and CD players are necessary to make the time go by. I buy lots of CDs so I would take some new purchases to work, pop them in my portable CD player, and pass the time behind some headphones. My Dell DJ has revolutionized how I listen to music. I added all my KISS albums. Then I loaded all my Saxon, my UFO, and Black Sabbath. Easily 60 CDs in one small package. So I started to load all of the recent purchases. Why carry all those CDs when I don’t have to? The first play and I was hooked. I selected KISS, pressed Shuffle, and off I went into another world. It was like having a CD changer in my head. KISS’ entire recorded works were in my back pocket! I’m up to 106 albums (1147 tracks) and I haven’t even scratched the surface. Will I fill it? Not sure. I delete the newer albums as I get bored with them and I’ll continue to put full discographies of bands I love on it. It’s just a handy way to transport albums, and have a great selection, without lugging CDs around. It saves time and prevents the CDs from damage. Where are you Good Vibrations? I can’t call it a CD store, or a music store, these hallowed places will always be called a record store. Growing up in the early to mid ’80s, there were a few good independent record stores I could get to on my bike, and some decent chains that I would convince my mom to take me to while she went off and shopped. One of the best pre-teen memories I have is going food shopping with my mom. In Seekonk, MA, a new shopping center went up with a supermarket that had the best selection & prices. Problem was that everyone went there on a Saturday morning and food shopping was a 2 hour event. That didn’t bother me because I always left mom to her grocery list while I ran to the other end of the plaza to Good Vibrations. Good Vibrations was a small national chain that was prominent in the RI/MA area in the early ’80s. I had only been to one before, in Foxboro, MA, and that was only by chance. Now I read Circus & Hit Parader, and I was glued to MTV, but my real knowledge of Rock/Metal was absorbed in 2 hours every Saturday. It was beautiful. Cassettes on the right, vinyl in the middle, posters & mags at the back wall, and these new inventions called CDs on the left. Promo posters adorned the walls with everyone from Led Zeppelin to KISS to Steve Miller to Mercyful Fate. They played albums over the sound system if you wanted a preview and they had awesome sales and coupons. For a kid with an allowance, price was important. I used to get $20 a week but I had to earn it with a list of chores. I knew that I could buy a rock mag and 2 albums every week on the shopping run if I didn’t spend anything during the week. I would check out the cassettes first, this was what I bought. I thought they were superior to vinyl (I know all of you are shaking your heads. I was 10, what did I know?) because you couldn’t scratch a cassette. After looking at every letter and the sale displays, I would pick out what I would eventually buy. I would head to the posters & mags next to get those mags that weren’t sold at my local CVS. I always looked at the CDs quickly. Who cared about CDs? They were new and you had to have hundreds of $$$ to buy a player (I wish I could go back in time and see those out of print gems I brushed aside that I would kill for now). On to the records…..
Good Vibrations had awesome vinyl, they had every new release, every picture disc, every album by every artist. First thing I’d do is check my favorite band: KISS. Who knew what treasures I could find? The 4 solo albums? Creatures Of The Night with the original cover? Or the elusive Music from The Elder? On to the Metal section, letter by letter. After that, the Rock section, letter by letter. Back then, the Rock section had Asia alongside Foghat next to Journey before The Who. There weren’t as many genres as there are now. So I would flip through and look at the covers, look at the back, and file it in my memory. The artwork, the band pictures, the song lists…..it all became embedded in my brain. And I wanted it all! But I only had $20. I wished I had a job so I could blow my check every week on music. Mom would come in and say it was time to head home, her shopping done and ice cream melting in the car. Of course, “Time to leave, honey.” meant 5 more minutes to me…..I had to go grab the selections I’d picked out and then pay for them. Good thing Mom always came in to get me because a 10 yr. old had no concept of state sales tax. 1 mag & 2 cassettes was $18 ($3/7.50/7.50) plus 5% tax. I always cried poor to Mom for the sales tax, which she always had in her pocketbook. A shrewd move on my part because the 2 bucks I saved each week could get me an extra cassette at the end of the month. My Saturday morning was over. I would read my new mag as I rode home just dying to play that new Motley Crue tape, or that ’70s KISS album I didn’t have. The thrill of the hunt over, I would leave Good Vibrations every weekend with good music (hopefully), a little lighter in the wallet but definitely richer in the mind.